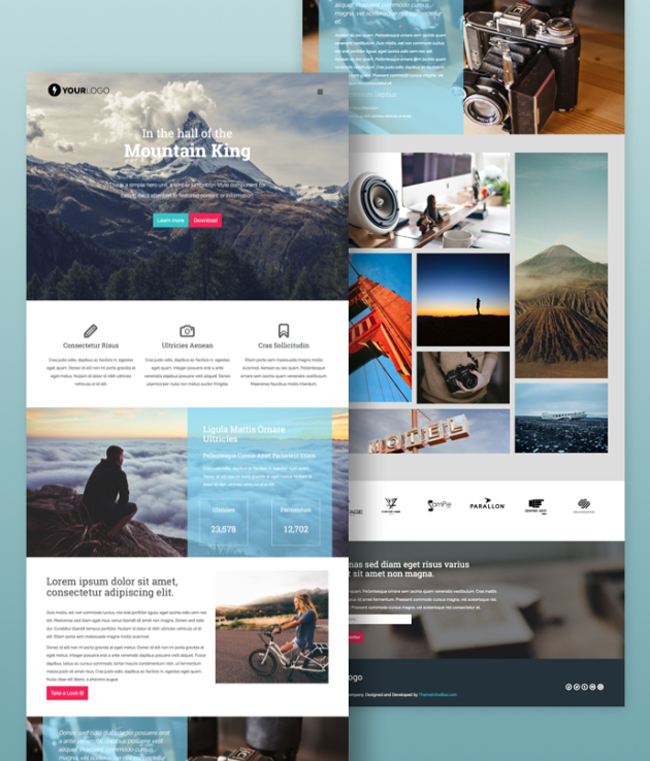 Mountain King is an Onepage template HTML5/CSS3 based on Twitter Bootstrap 3 designed for lovers of wild freedom. Minimal and clean design, fully responsive, perfect for a portfolio or a travelogue. Among the major feature: the clear and commented code to be easily edited, 336 vector icons by Typicons.com, photography gallery masonry, off-canvas menu and CSS3 animations.